Scripture is clear, we are not saved by our works, we are saved by grace. Even our best works will not gain us a position in righteousness; we are only made righteous by the Blood of Jesus Christ. What we do in the way of acts of charity is essential, but these efforts are insufficient to grant us access before God. On the other hand, while we are not saved by works, the Scriptures also declares that we are saved for good works. We are not saved by our works. We are saved for good works. The problem with “amazing grace” is some people interpret this as a reason to do nothing. I have discovered that some people who are active in grace are weak in works. Misinterpreting the message of grace can lead to sloth and indifference. Misinterpreting the message of grace can give the impression that no works are required. Misinterpreting the message of grace can subtly suggest that works are not as important as grace. We should note that most cults and religions have a works-earned salvation, and this forces their adherents to perform good works as an attempt to somehow gain God’s approval. The Christian movement believes that we are saved by grace and this redemption causes us to be engaged in good works. 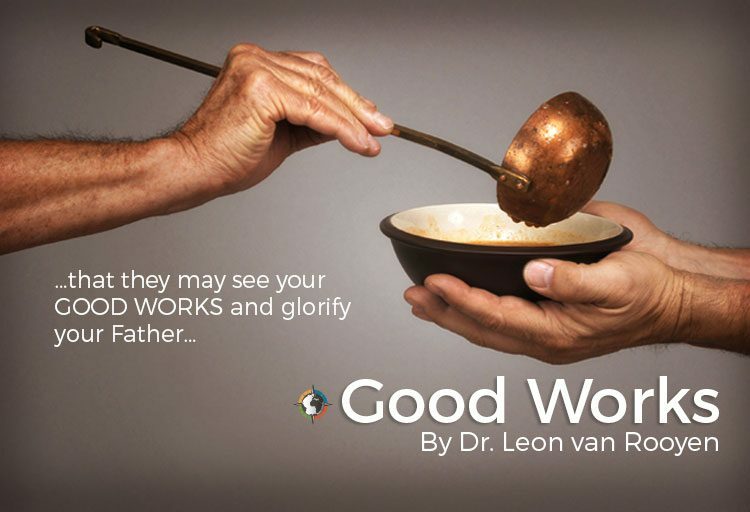 These good works are the evidence of an authentic work of grace that has taken place in our hearts. I often ask people what they would like Jesus to say to them when they meet Him. Most will answer and say that they want to hear Him say, “Well Done!” Remember, Jesus does not owe you a ‘well done’! You don’t get a well done without having done something well! What are you doing that would cause Jesus to say to you, “Well Done!”? While these are all essential practices, and should be an important habit established in our daily routine, but spiritual food also comes from doing God’s will. We are nourished not only by what we ingest, but also by what we give out or by what we do.